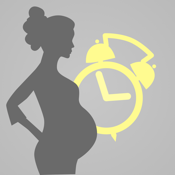 Belly Timer is a simple-to-use timer for measuring the duration and spacing of your contractions. The interface is designed to be simple and customizable, allowing you to select a variety of background pictures and color schemes. You can even use your own photos. A particular favorite is a sonogram pic to help keep you focused.